We're a small cosy wine boutique where you can buy excellent Spanish wines for extremely good value. We also organise wine tastings in English & Dutch. 18,50 per person, groups of min. 4 & max. 10 persons. If you're less than contact me for the price. You're always welcome in El Brabantino! Shoe store specializing in limited editions of the leading brands Nike®, Jordan Brand®, Adidas® Originals, Puma®, New Balance®, Pointer®, Clae®, Saucony®, Toms®, Reebok® Pump, Vans®, Clarks® Originals. We offer an extensive selection of exquisite and original fashion brands such as Vanessa Bruno®, Chloé®, Miu Miu®, Prada®, Manolo Blahnik®, Dior®, Gucci®, Versace®, Moschino®, D&G®, Loewe®... All previously owned but good as new and at unbeatable prices! Monday through Saturday from 11h to 19h. New Showroom in Madrid. 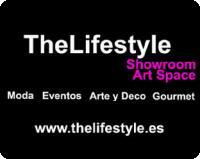 High class Fashion brands and accessories, with art and Gourmet products. Open Monday to Friday from 10:30 to 20:00 and on Saturdays and Sundays from 11 to 15:00. Every Saturday and Sunday free wine tasting of Ribera del Duero "Valsardo" and on the house tapas.